ACP® stands for Agile Certified Practitioner and is the most important industry-recognized certification for people offered by Project Management Institute (PMI)®. This Highly recognized PMP® certification demonstrates that an individual has the experience, education and competency to lead and direct projects. PMP® Certification has become the international standard for Project Managers and the credential of choice in most industries and organizations across the world. PMI®, PMP® and PMBOK® are trademarks registered by Project Management Institute. The PMI-ACP® credential certification is a credential offered by PMI for people working in Agile project management environments. This certification is for anyone involved in any product development effort that has a large amount of complexity and uncertainty. Obtaining the credential recognizes an individual’s skills in using Agile tools and techniques to successfully navigate complex projects towards satisfactory outcomes. This certification carries a high level of professional standing and credibility as it requires a combination of agile education, experience on Agile practices and examination on Agile practices. 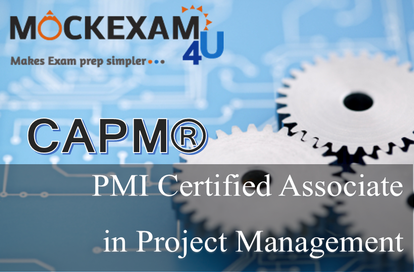 How is the PMI-ACP different from the Project Management Professional (PMP)® credential? The PMI-ACP certification specifically validates a practitioner’s ability to understand and apply agile principles and practices. The PMP® credential recognizes demonstrated competence leading and directing project teams. Why did PMI develop the PMI-ACP certification? Agile is a topic of growing importance in project management. PMI market research shows that project management practitioners are embracing agile principles and practices for successfully managing projects. Following the increasing demand for an agile certification, PMI decided to develop the PMI-ACP certification. In Brief; PMI Agile Certified Practitioner (PMI-ACP)® is the most popular professional certification for agile practitioners. PMI-ACP certification program is governed by the reputed Project Management Institute (PMI) and is offered to professionals who successfully qualify in the PMI-ACP exam.Candidates need to fulfill the PMI defined educational and professional qualification before attending the PMI-ACP exam. PMI-ACP is a 3 hours examination comprised of 120 multiple choice questions based on agile tools, techniques, knowledge and skills. 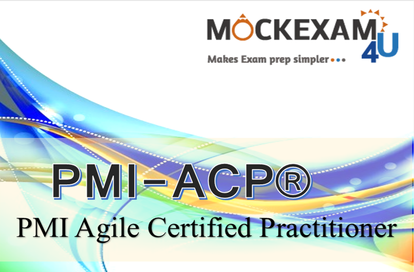 Mockexam4u is an ideal space to test your PMI Agile Certified Practitioner (PMI-ACP)® knowledge. The mock tests are designed to help prepare you for the (PMI-ACP)® certification exam. It would allow you to assess your understanding of the topics covered in the PMP® exam and identify topics on which you may need further training. 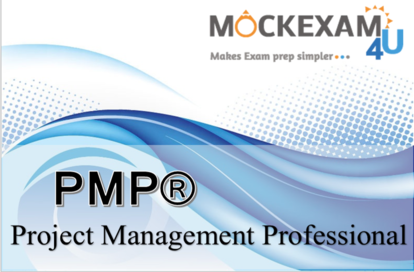 It would give you a sneak peak at what you could expect in the actual PMP® exam. Consider the test exam provided here as an elaborate SAMPLE EXAM. This sample exam encompasses 15 questions and is not time bound. The feedback after every question will tell you the right answer and the explanation. Our group of Certified (PMI-ACP)® practitioners have carefully designed each of the sample and mock exams to ensure the entire syllabus is covered and the reader gets the utmost benefits. Click the image above to check the (PMI-ACP)® sample exam. It would give you a sneak peak at what you could expect in the actual exam. These review questions do not reflect the actual questions you will receive on the live certification exam. They are only meant to supplement your exam experience. We would like to add at the outset that preparing to take an exam is a personal matter and highly dependent on an individual’s personal learning methods. For some candidates, a careful reading of some of the texts in the reference bibliography will be most obliging, while others may find significance in purchasing study guides, taking a local refresher course, or forming a study group with other quality professionals. All certification candidates are responsible for their own study and preparation for the exam. It would be prudent to take this test as many time as possible to boost confidence and to test your preliminary assessment levels. This online Test remains the property of the Mockexam4U. The PMI Agile Certified Practitioner (PMI-ACP)® certification sample questions and the online tests are not from the official PMI sample papers and they are created by our organization. These test questions are not to be reproduced or re-sold without our permission. Enjoy the exam whilst free! Each of the exams is vigilantly questioned with each question differing from the other to ensure the entire PMI Agile Certified Practitioner (PMI-ACP)® course material is covered. Also visit us soon to check the newly added mock tests. Do give us your precious feedback so that we could cater more easily to your needs. 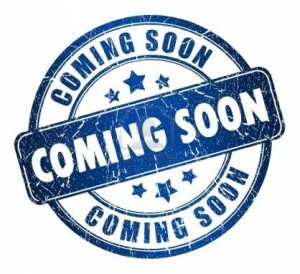 Please come back soon to attempt the mock tests for the PMI Agile Certified Practitioner (PMI-ACP)® certification. To register for (PMI-ACP)® certification, you would first require to register by following this PMI® link. Schedule for your PMI_ACP® examination which is a computer-based examination and in some cases can also be paper-based examination. Refer the (PMI-ACP)® handbook for more details. Also you cannot schedule an appointment until PMI® receives payment for your credential fee. Schedule your appointment online at the Prometric website. You can also use the same link for re-scheduling or cancelling your test. In order to be admitted into the Prometric testing center you must carry a valid, non-expired government issued identification with your photograph and signature. 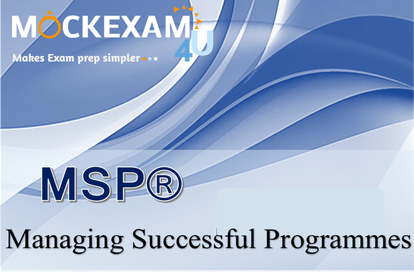 Upon completion of the computer based PMP Certification examination you will receive a printed copy of your test result. As part of PMI’s Continuing Certification Requirements (CCR) program, a PMI-ACP® credential holder will need to earn 30 PDUs in agile project management per three-year cycle.